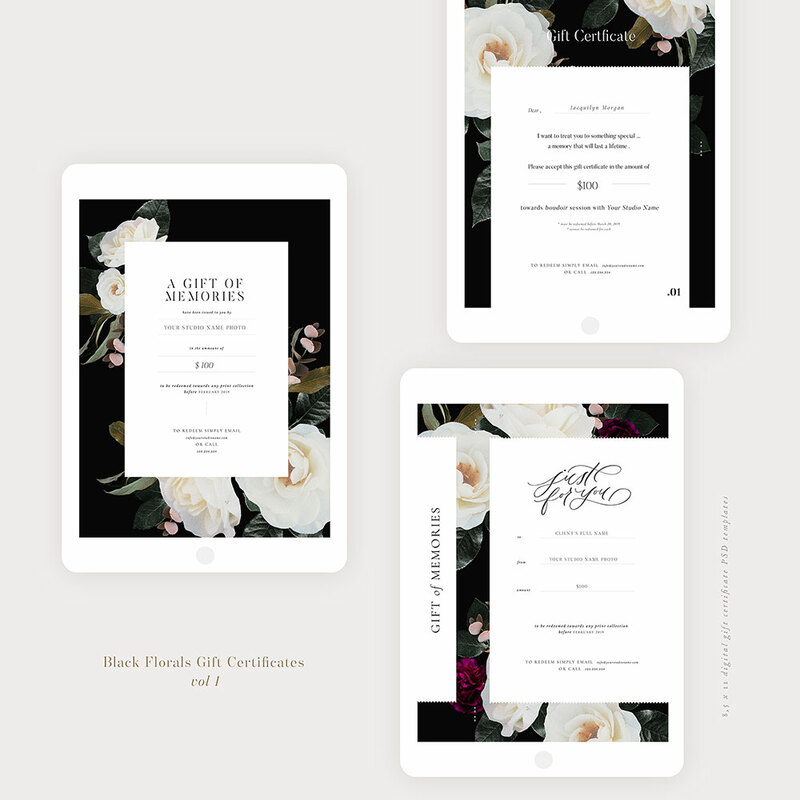 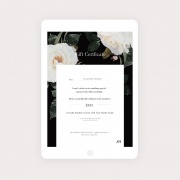 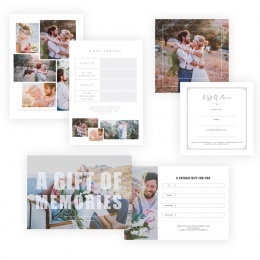 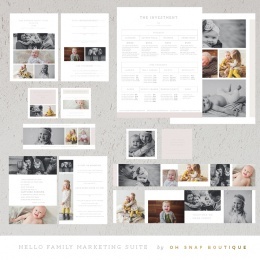 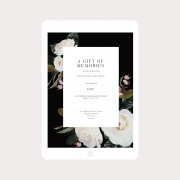 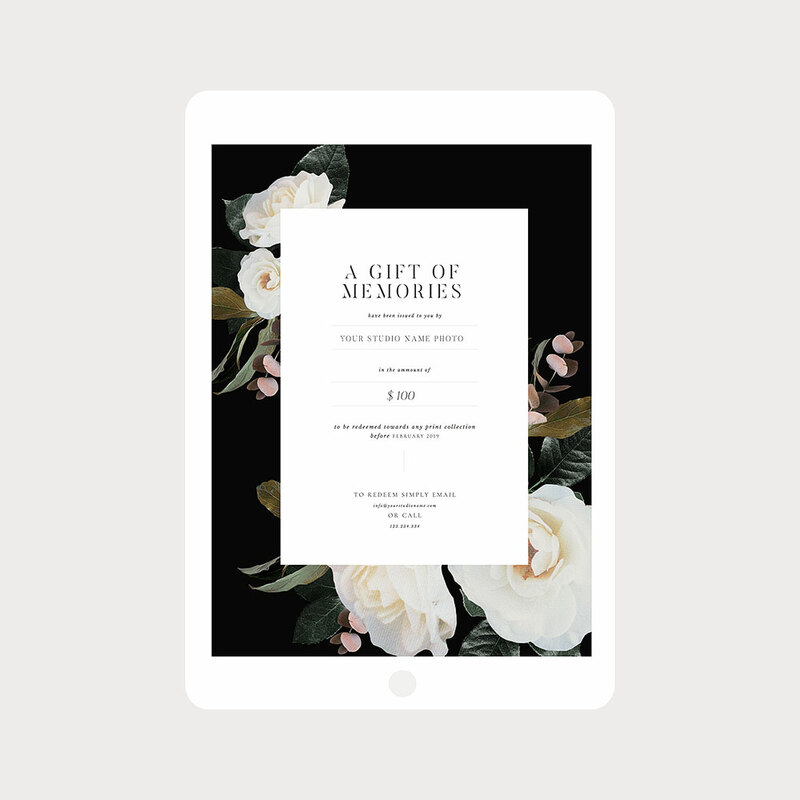 Black Florals Collection includes three 8×11 Gift Certificate Templates that you can send to your clients via email . 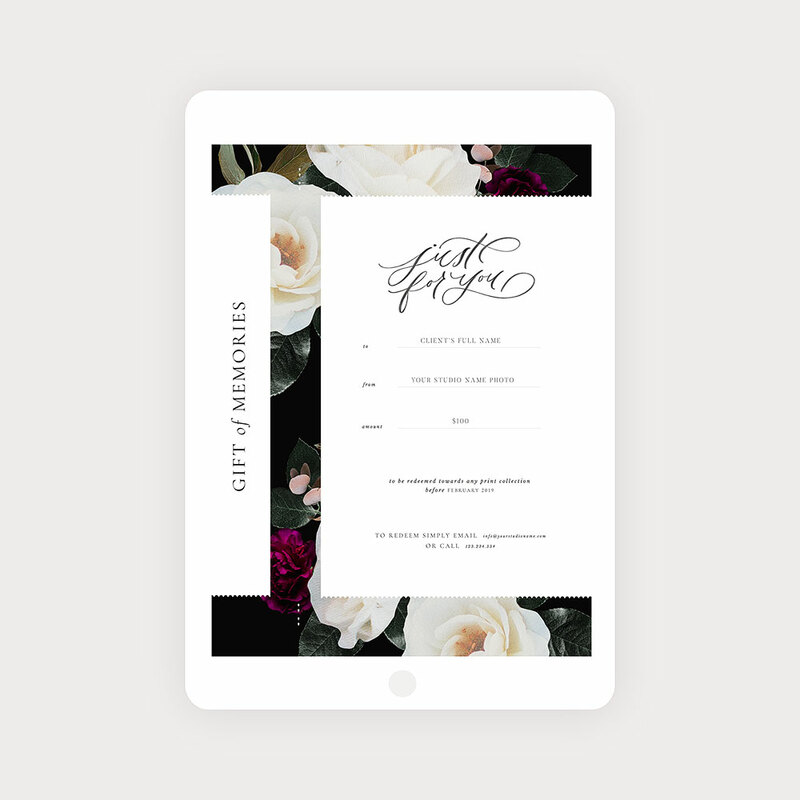 The design is modern and feminine, yet timeless . 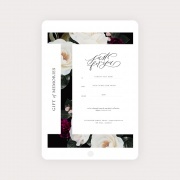 The florals are merged with the black background. Name of the fonts included.